Southeast Alaska dive fisheries harvest three species of invertebrates: geoduck clams Panopea generosa, California sea cucumbers Apostichopus californicus, and red sea urchins Mesocentrotus franciscanus. All three fisheries occur primarily in southern Southeast Alaskan waters. The pinto abalone Haliotis kamschatkana fishery is currently closed to commercial harvest. A small experimental sea cucumber fishery was prosecuted during the 2007/08 season in the Yakutat area. Southeast dive fisheries are relatively recent entrants into the region’s commercial fishing industry. The first commercial landings for abalone occurred in the mid 1960s, and red sea urchins, sea cucumbers, and geoduck clams in the early to mid 1980s. Currently, each fishery is a competitive limited entry fishery. Stock Assessment surveys for green urchins have been conducted in Southeast Alaska but there has been no fishery. Westward Region dive fisheries include the sea cucumber Apostichopus californicus fishery in the Westward Region (Kodiak and Chignik) and a small green urchin Strongylocentrotus droebachiensis fishery in Kodiak and Alaska Peninsula. Sea cucumber GHLs and fishery periods were developed between 1991-1993. The GHL for the Kodiak District was 140,000 pounds and 25,000 pounds for the Chignik District. To promote reproduction, the fisheries in these areas are closed from May 1-September 30. Geoduck clam Panopea abrupta beds have a patchy distribution in the central and southern portions of Southeast Alaska, primarily in protected waters near the outside coast. 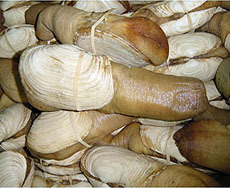 Geoducks are long lived resulting in a the Alaska Department of Fish & Game using very low exploitation rate. A shift to live geoduck sales has increased the value of the fishery in recent years. 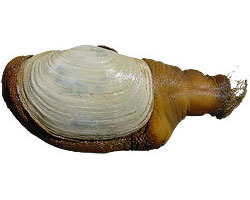 See more information about geoduck dive fisheries in Alaska. The commercial species of sea cucumber harvested in Southeast Alaska is the California sea cucumber Apostichopus californicus. It is distributed from Mexico to as far north as the Alaska. The major products from this fishery are the longitudinal and transverse muscle bundles or meat, and the skins. 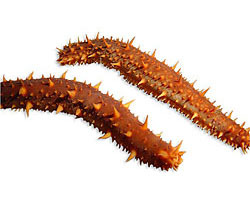 Fisheries occur for sea cucumbers in Southeast Alaska and the Kodiak area. See more information about sea cucumber dive fisheries in Alaska. Red sea urchins Mesocentrotus franciscanus are common in Southeast Alaska, occurring primarily on rocky shorelines of the outside coast with largest concentrations in southern Southeast Alaska. The red sea urchin population has been kept at very low levels by sea otters in many areas, which along with decrease in marketing opportunities, has resulted in a reduction in harvest and effort in recent years. 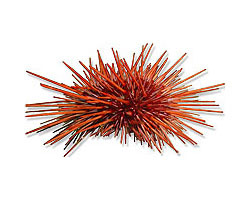 See more information about red sea urchin dive fisheries in Alaska. Green urchins Strongylocentrotus droebachiensis are only commercially harvested in the Kodiak area but exist in the Southeast Alaska, also. The Kodiak green urchin fishery is very small and harvested under the provisions of a miscellaneous shellfish permit. See more information about green sea urchin dive fisheries in Alaska. The pinto abalone Haliotis kamtschatkana inhabits fairly shallow areas of the coastal waters of southeast Alaska. They have been reported as far west as Cape Spencer and Yakutat. 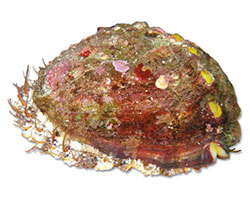 The pinto abalone can be found along the West Coast as far south as California. They are frequently found in kelp beds and on rocky bottoms. Commercial harvest of pinto abalone began in the 1960s. The fishery peaked in 1979-1980 with harvest gradually declining until 1996 when the fishery was closed and has not reopened.